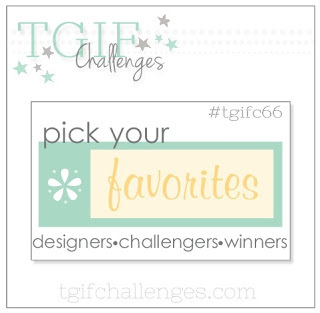 The challenge this week at TGIF is to "pick your favorite." 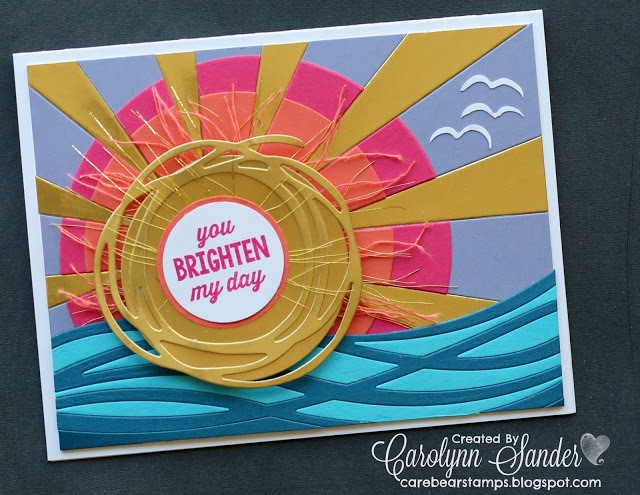 It could be a card made by your favorite designer or challenger, so I picked an A-MA-ZING card created by Carolynn at Care Bear Stamps. 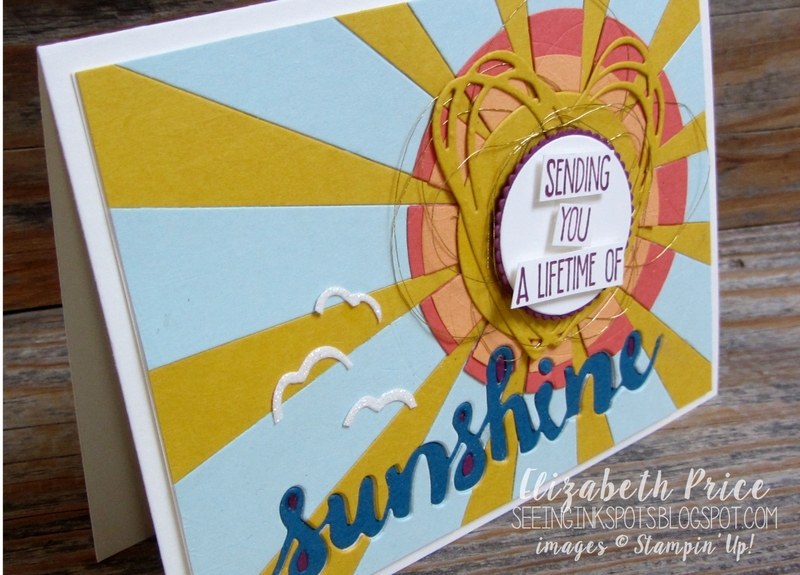 Her card is the absolute most awesome example of "in lay" paper crafting I have ever seen! I also picked Carolynn because I had to have one of these cards for myself. Now, I don't have everything she has but I have put my stash of supplies to work to come up with something very similar. I must say a big "thank you to Carolynn for being my muse today!" 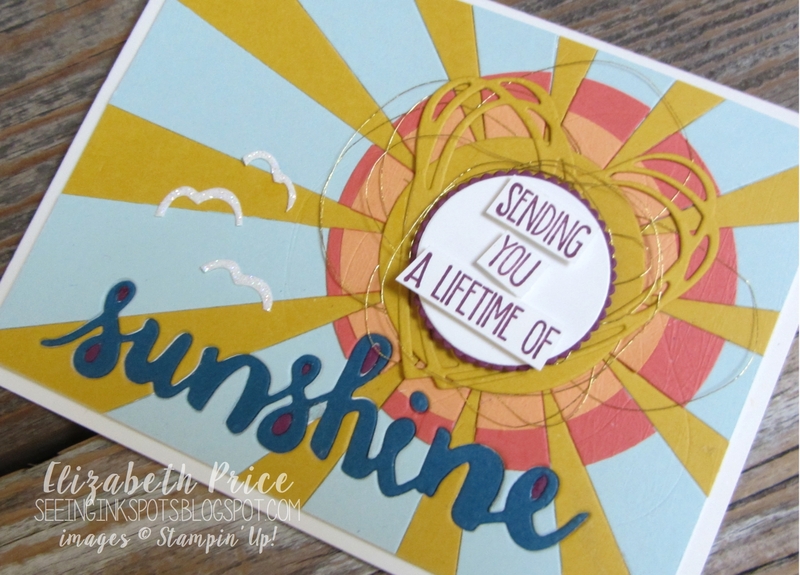 Even if you have been a long time paper crafter and stamper you can learn so much from copying/casing another artist. 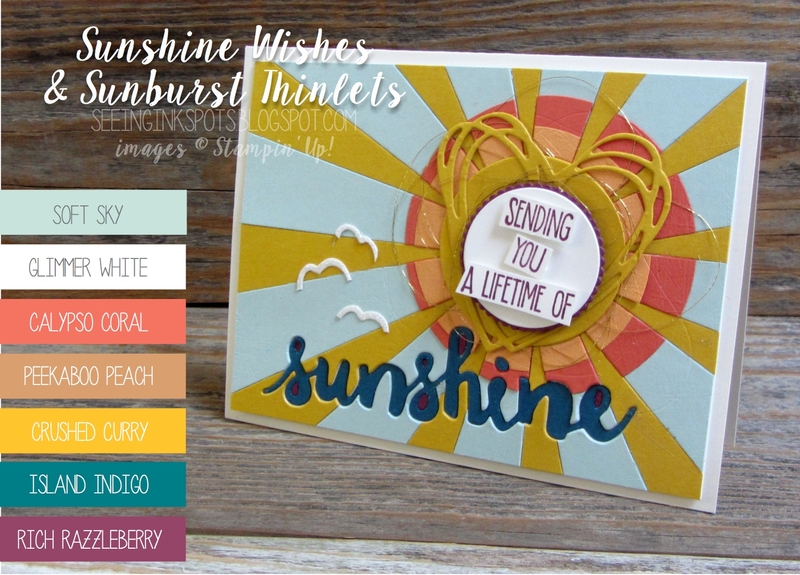 I have tried a little bit of the "in lay" technique, but never a project with quite as many layers and details as Carolynn's card. I now know that adhesive is very important for holding all the little pieces in place. And, it's all those tiny pieces that make the look and technique so impressive. The most difficult cut for my card was the word sunshine especially the top loop of the letter H as it had to slice through so many layers. 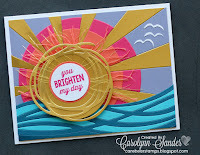 While this card took me a while to complete I so totally enjoyed the learning process--thanks Carolynn. I want to point out the birds and how I made them. I ran a piece of Dazzling Diamonds Glimmer Paper through the Big Shot to cut the larger flower from the Sunshine Wishes Thinlets. Then I trimmed up some of the petals to create quick birds. They were super easy and no fussy cutting was necessary.